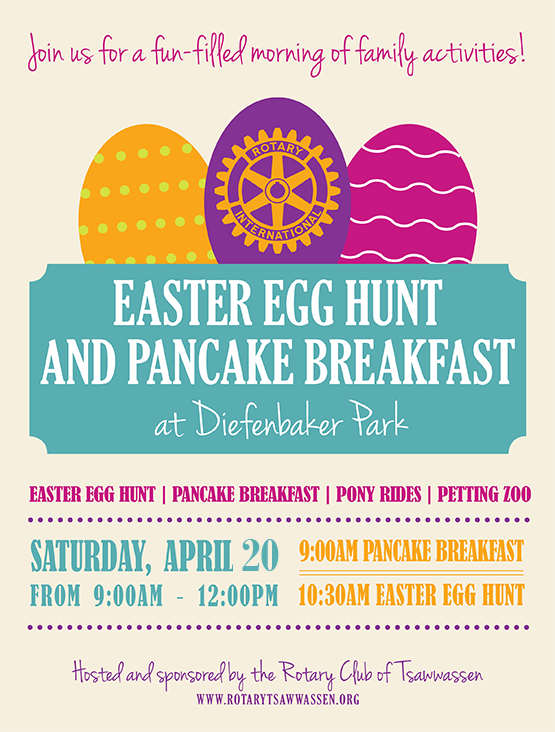 The Rotary Club of Tsawwassen presents our annual Easter Egg Hunt and Pancake Breakfast at Diefenbaker Park!! Join us and hundreds of locals this year on Saturday, April 20th at 9am til noon. Invite your friends, family, neighbours, and whole block to this event. It's always a wonderful time. You and your kids will love it. See you on Saturday, April 20th.